This Nintendo Download, we’re going to discuss a common occurrence. The older we get as gamers, the more adept we become at playing more and more challenging games. And as a result, often games that are simple, fun or cutesy get disdained by large swaths of the gaming public. It’s not easy keeping the inner child alive, but I’m somehow able, and as a result I’m still a huge fan of everybody’s favorite pink puff, Kirby! Which makes it especially exciting that Kirby Star Allies releases on Switch tomorrow! But that’s not all, this Download also has a couple great sales, new My Nintendo deals, tons of digital games and more. Let’s start by heading to Dreamland! I couldn’t be happier that Kirby Star Allies comes out tomorrow. I have played pretty much every Kirby game out there (with the exception of Kirby Air Ride, for some inexplicable reason) and have enjoyed almost all of them. While simplistic, they offer just enough challenge and replayability to keep us entertained. 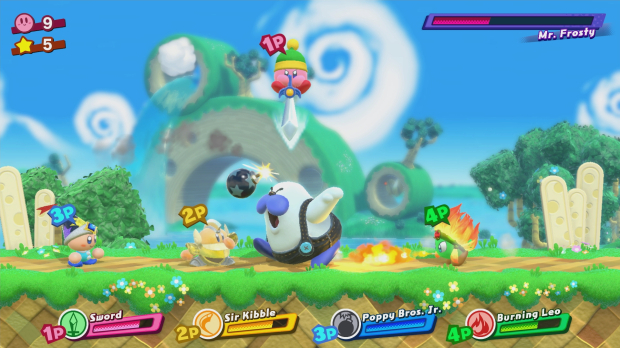 The Star Allies demo in particular showed off some interesting mechanics based off making friends out of foes, and it brought back fond memories of Super Star Ultra. Hopefully the final result will be just as fun as the demo, and will provide a challenge reminiscent of Planet Robobot. But it’s not all Kirby news today, another game is headed to the Switch next week – Attack on Titan 2! I admit I’m not familiar with the anime it’s based on, other than to know it’s massively popular and features giant humanoids. However, if you are a fan, you owe it to yourself to check the game out when it releases next Tuesday. 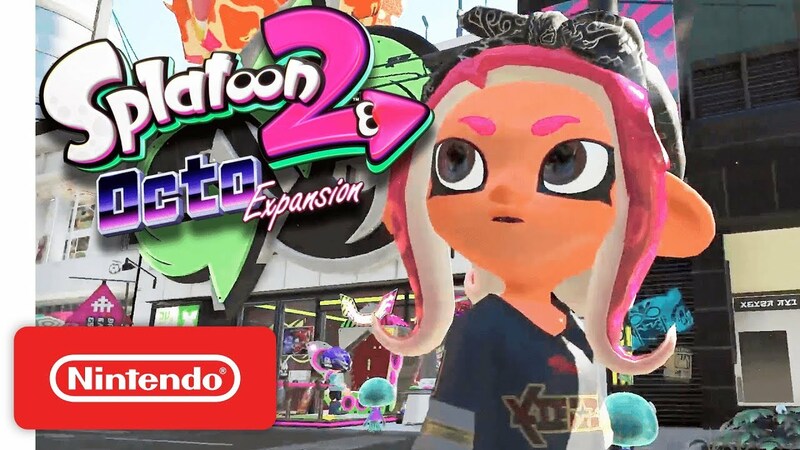 And lastly, Splatoon 2 is getting a massive update in the Octo Expansion DLC. You can purchase it now to get a few extra goodies in advance of the official release of Agent 8’s adventure later this Summer. I still am blown away that we’re essentially getting another Splatoon 2 story mode, and while this is the first paid DLC, I can justify the price based on how many freebies the series has provided its fans. It’s always good when we have sales, but this week we have a couple. First up, Square Enix is offering a sale on a handful of their most recent Switch and 3DS games, lasting from today until the 22nd. 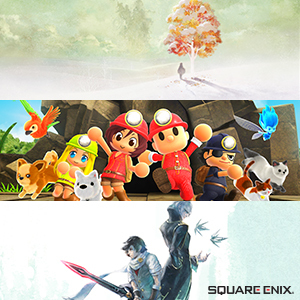 The following are the games being offered on sale – I am Setsuna, Final Fantasy Explorers, Lost Sphear, Spelunker Party! and one of my personal favorites, Theaterhythm Final Fantasy: Curtain Call. You can see how those games are discounted by clicking here. For the next sale, let’s check out the Game Guide and see what’s worth playing. 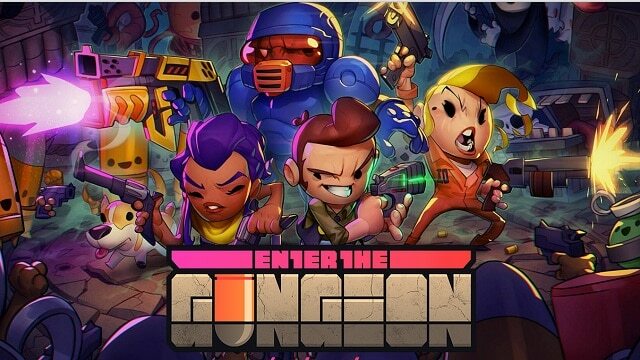 Nightmare Boy (Switch) is discounted to $8.99; the creepy Bomberman-inspired Brawl (Switch) is down to $7.99; the awesome Heart&Slash (Switch) is going for $13.49; Enter the Gungeon (Switch) offers explosive fun for $11.24; enjoy the music with Floor Kids (Switch) now for only $13.33; OPUS: The Day We Found Earth (Switch) is a bargain at only $4; the simple yet fun Letter Quest Remastered (Switch) is worth trying for $9.59; Dead Synchronicity: Tomorrow Comes Today (Switch) isn’t bad at $11.99; Symphony of Eternity (3DS) might be worth trying at $4.99; Robonauts (Switch) looks cute for $7.49; I and Me (Switch) looks like a charming puzzle experience for only $7.99 and lastly, Fairune (3DS) is super affordable at $1.99. As always, you can find the full list of games on sale by clicking here. In closing, let’s see the latest digital releases worth buying. A couple of games come out next week, so let’s check those out first. There’s one game called Bad Dudes, which looks like it’s inspired by old classics like Double Dragon, though it appears to be a new title on the Switch. I’m much more familiar with the other game, as it’s my favorite Shantae title – Pirate’s Curse! That wonderful adventure is making its way to the Switch, and I heartily recommend you check it out. Finally, there’s a demo of one game called Deep Ones launching next week, though the actual release isn’t until late April. For those who want a bit of puzzling, I would suggest you check out Gem Smashers, Last Day of June and Swim Out. If you’re antsy for the classics, check out the latest ACA NEOGEO, Aero Fighters 3. If you love blasting foes to smithereens, check out Neonwall and Tesla vs. Lovecraft. If you’re looking for unique adventure games, there’s The Long Reach and Kona. And lastly, if you just like insane platforming, you can’t miss Clustertruck. Not a bad week for a Nintendo Download, eh? I myself am eager to check out Kirby plus a few of these other new titles. Be sure to check in next week for the latest Download, and tune in later for our reviews of Kirby Star Allies and Attack on Titan 2!